Change takes time. There are frequently obstacles. But when it occurs, it can be satisfying. This year, over 1,000 participant quotes from adults in the UC CalFresh Nutrition Education Program chart a course for change. In the food eaten, beverages consumed, or daily exercises undertaken, participants describe a desire to take a new approach, or be more conscious of the little daily decisions that can make all the difference in health. In 2015, UC CalFresh programs were delivered in 891 sites. The majority of sites were education-oriented, with 78 percent being either public schools, preschools, adult education, or Head Start programs. A UC CalFresh educator teaches young mothers strategies for preparing nutritious meals. 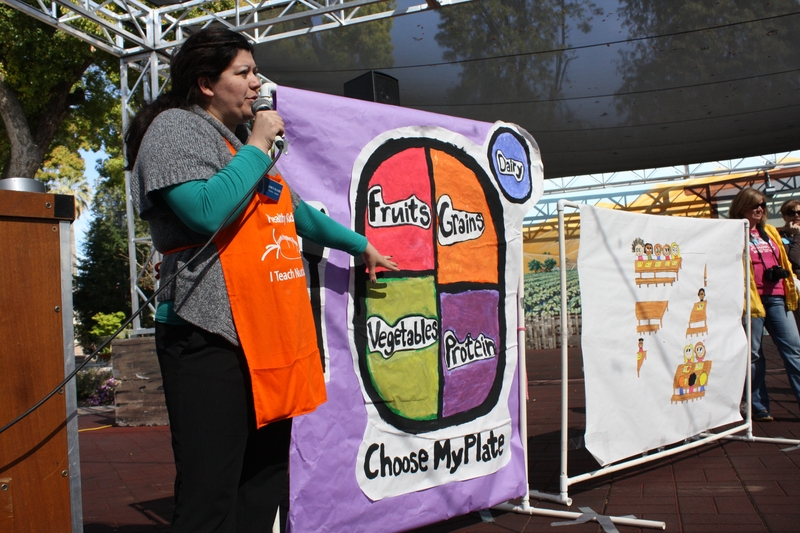 Special events reinforce school nutrition lessons. In the past few years, UC CalFresh has increasingly worked on developing programs that have policy, systems and environmental change approaches. However, the stories told by participants illustrate the importance of building our programs from a foundation of direct education. 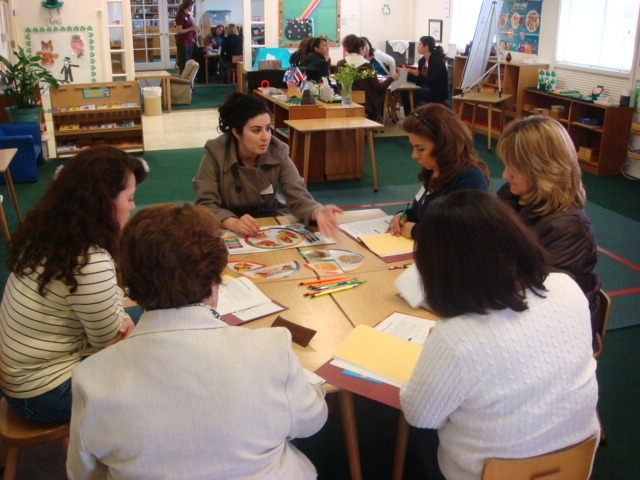 In this effort, UC CalFresh uses a “school as the hub” model in communities. Schools are seen as pivotal arenas for nutrition education that can also influence broader policy, systems, and environmental change. Through classroom nutrition education with students, and after-school programs for their families, schools generate the potential to reach different age groups in the community effectively. School gardens foster community learning. 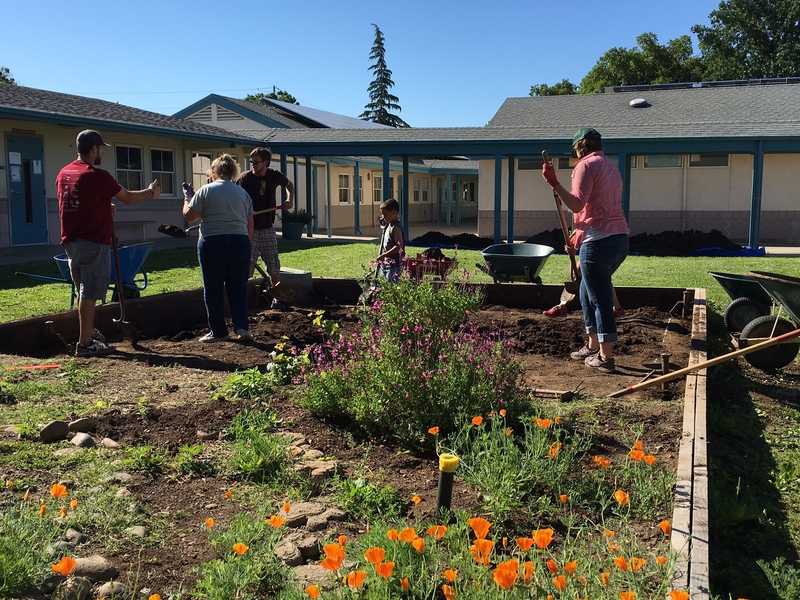 A school is a powerful environment for learning, growth and community engagement - from school gardens to work with food service directors creating nutritious meals and enhancing the cafeteria environment, to playground activities with stenciling and murals reflecting healthy choices. Opportunities abound to generate change in perspectives on food choices, physical activity, and healthy living. As we work with communities to build capacity in the areas described above, over time, a transition has the opportunity to take effect whereby local leaders - principals, teachers, parents, grandparents and students - motivated by the desire to embrace long-lasting healthy changes in their family and community - act as role models and change agents. This fundamental shift moves institutional initiative and strategies into “community-based systems change.” And the seeds of this change began with a lesson, a child, a parent, an educator … a simple quote. 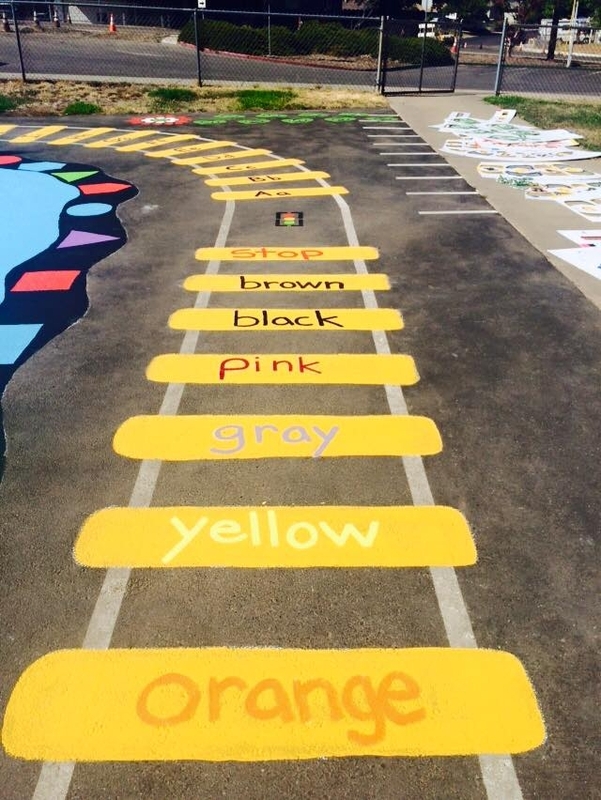 Stencil Road at Oakdale Heights Elementary in Butte County. Thanks for sharing this information and also thanks from me.